That is why it’s crucial to regularly monitor, analyze, and optimize your SEO efforts and see how they are truly stacking up in the dreaded Google page rank battle. Google page rank is basically the Game of Thrones of SEO. A never-ending battle with far too many defeats to handle. 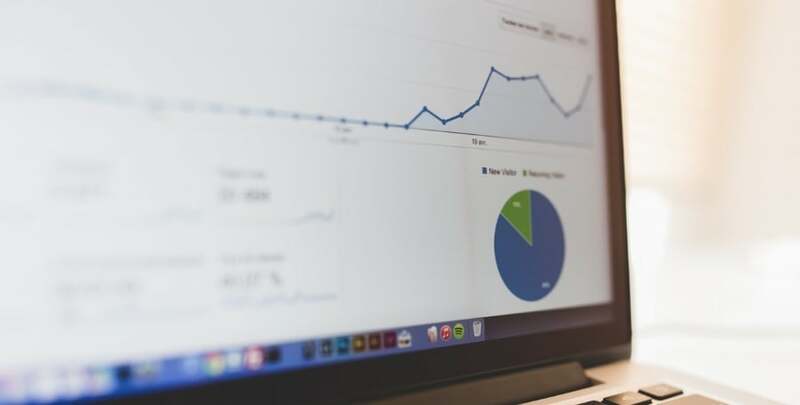 So, what is the best way to analyze and measure your SEO efforts? If you’re a busy company, you don’t have all day to sit at your desk and manually note every tactic you’ve ever set in place. Luckily, with today’s age of technology lovers, there are some handy tools that can do an SEO analysis for you. Life changing! Wait – What is an SEO Analysis? An SEO analysis sheds light on all the opportunities on your site that you can address to improve your ranking potential in SERPs. It involves auditing your site and identifying where you can optimize for search engine bots. The insights you gain from an SEO analysis give you direction on where you can improve your site's content and technical aspects to deliver a better experience for visitors and to show search engines context and relationships between your content and the search query visitors are using. Ahrefs (with a silent A, for all you fools that pronounce the "a" sound), has been our go-to SEO analysis tools as of recent. You can honestly get lost in this resource... in a good way, of course. The numerous tools on this site will help you identify top-performing keywords, discover content gaps you should jump on, and even spot critical errors – like 4XX redirects, broken links and images – you should fix to improve your site health. Keywords Explorer: Find new keyword ideas based on suggestions, difficulty, and see which domains are currently ranking for them. Content Explorer: Identify the most shared content about any particular topic. Site Audit: Crawl your website to spot errors, warnings, and notices, and learn how to fix them quickly to improve your site health and performance. Content Gap Analysis: Match your site up against any of your competitors to understand what keywords and topics they are ranking for that, and identify the topics and keywords you can target. This will allow you to craft your content strategy accordingly. Moz is one of the most highly recommended SEO tools to measure, monitor, and grow keyword performance all in one platform. 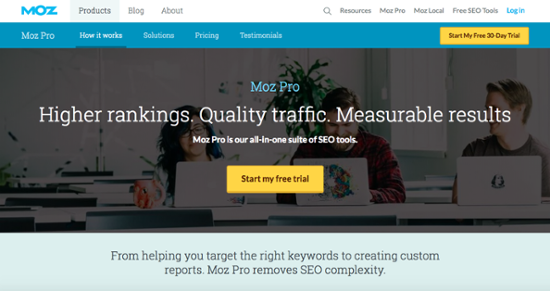 While Moz Pro is a paid service, there are free (but limited) Moz features available for anyone looking to boost their page rankings. 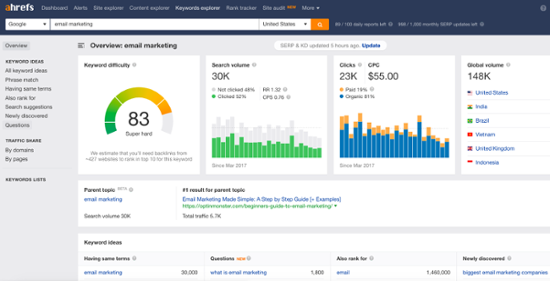 To get more searches, sign up for a free 30-day trial with Moz Pro to oversee marketing campaigns before moving on to the paid version. Keyword Explorer: Discover top-performing keywords based on difficulty and volume. Site Crawl: Find issues that affect how your site is crawled and learn how to fix them. Link Explorer: See how your domain authority stacks up to your competitors and track what links they are ranking for. 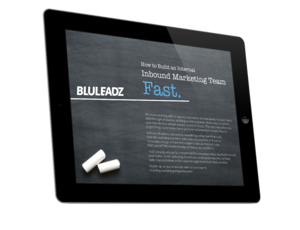 If you don't know already, we're big HubSpot connoisseurs (and Diamond Partners!) So, it wouldn't feel right not including them in this SEO analysis tool list. 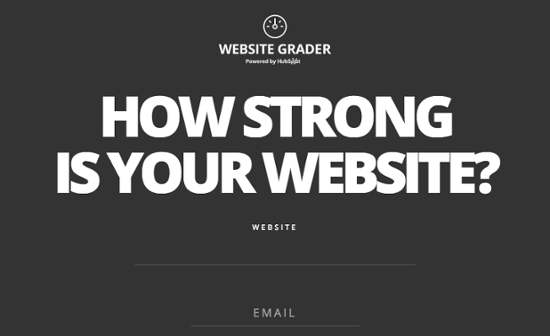 Head to the Website Grader site, enter your website and email, and in the blink of an eye you'll be able to answer the question, "How strong is your website?" While this might not be the most elaborate SEO audit tool in this list, there's a huge benefit to checking out this site: the price! Plus, under each score and description, you'll find a handy "Read More" that will direct you to an article answering the questions you probably have. Performance: (Scored 0-30) Calculates page size, page requests, page speed, browser caching, compression, and more. Mobile: (Scored 0-30) Views your website in mobile mode to see if your website is mobile responsive and has an effective website viewport. SEO: (Scored 0-30) Checks page titles, meta descriptions, headings, and sitemap presence to make sure they're optimized for user search and SEO ranking potential. Security: (Scored 0-10) Determines whether or not your websites has an SSL certificate. Adding to the number of paid services on the list, SEMrush is another must-have tool for its detailed domain reports. Your dashboard will automatically display the positive or negative changes in organic keywords and traffic plus paid ads keywords and traffic compared to previous time periods. Domain vs. Domain: Compare your site with similar websites to get performance and ranking insights of your organic/paid keywords against your biggest competitors. Keyword Magic Tool: Gather new, fresh keyword ideas and create up to 50 target keyword lists to use for future content. Site Audit: Monitor your site health and locate urgent SEO issues on your website. On Page SEO Checker: Analyze the Google ranking factors that might be affecting your website performance, and find new ideas for strategy, backlinking, content, and more. Formerly known as Google Webmaster Tools, Google Search Console is one of the top SEO analysis tools around. Since we look to Google for just about anything these days, why not look to them to help improve your business' site performance too? Using this tool allows you to see your website just as Google sees it. Monitor your overall performance from clicks and impressions, and even toggle based on query, pages, devices, search appearance, and more. Coverage: Discover errors and warnings on your site that may be affecting your overall site performance. Links: View the internal and external links present on your site, as well as the top linked pages for both. URL Inspection: Inspect any URL in your domain to check its performance to ensure it's crawlable by Google, mobile-friendly, and more. 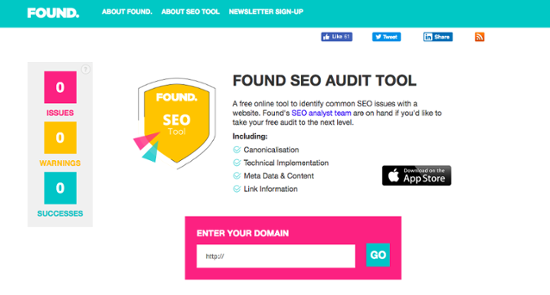 This SEO audit tool is another excellent – and free – tool your business should save in its bookmark tab. Simply type in your domain, and watch Found break down your entire website into issues, warnings, and successes. It's nice to get applauded on your hard work sometimes, and Found gets that! This simple tool analyzes everything from canonicalization and load time to analysis on links, headings, keywords, images, and more. 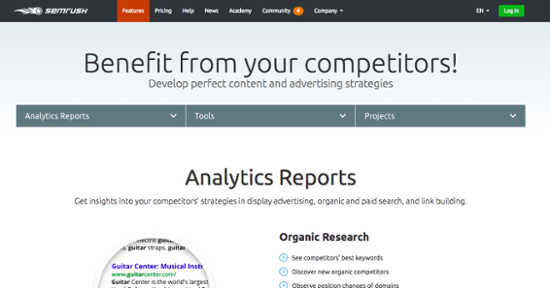 It's worth checking out if you want a quick tool to help you improve your SEO efforts. Canonicalization: Ensures your canonical URLs are properly functioning and there are no outlying errors. Keywords Analysis: Breaks down your top 10 keywords used on your website, noting count and density. Moz (Formerly SEOmoz) Analysis: Identifies page and domain authority and highlights the top inbound links ranked by Moz. 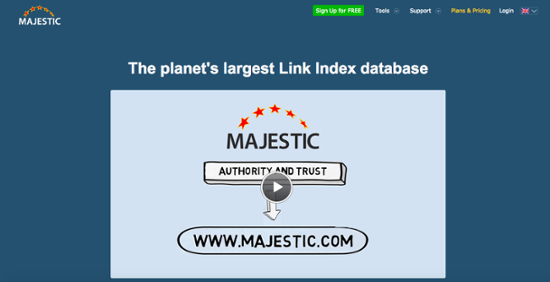 Majestic has a variety of free and paid tools for measuring search volume, but it is most notable for its ability to report on backlinks, which is a big factor in page rankings. Google views backlinks as “votes” for the popularity and relevance of your site. The larger the number of backlinks, the higher your page is ranked on search engine result pages. Backlink History Checker: Determine how many backlinks a domain, subdomain, or URL is getting. Clique Hunter: Find domains that currently link to one of more competitor. The competition for page one will only get tougher and more crowded. So, start digging into new SEO opportunities to improve your page rank today.